The group can be seen miming the song on the show Samedi et Compagnie (Saturday And Company”), hosted by renowned television personality Albert Raisner. 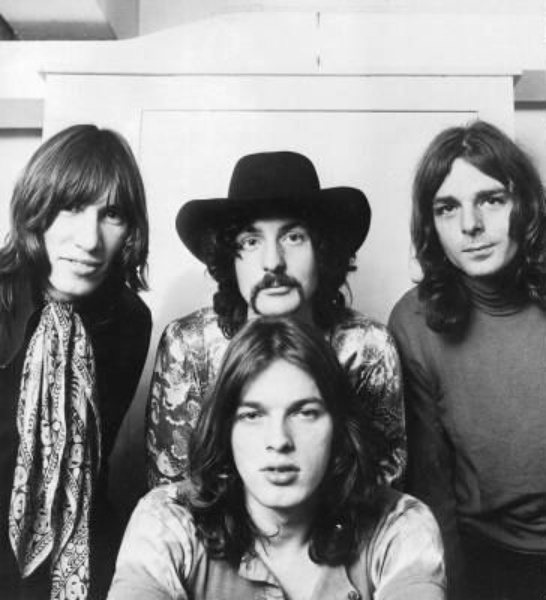 While Pink Floyd only performed “Let There Be More Light” live in 1968-69, the song resurfaced earlier this year during a spring series of UK club dates by Nick Mason's Saucerful Of Secrets, a new outfit featuring the band’s founding member and drummer. Mason’s first live musical outing since Pink Floyd played at the 2005 Live 8 concert in London saw the rocker present vintage material from the legendary UK band’s pre-“The Dark Side Of The Moon” era. The drummer will return to live action for a month-long fall tour of the UK and Europe that will begin in Stockholm, Sweden on September 2. Mason and Pink Floyd released their final album, “The Endless River”, in 2014. The drummer will also release a box set collection of his solo albums, “Unattended Luggage”, on August 31. The limited-edition offering compiles the rocker’s 1981 release, “Nick Mason's Fictitious Sports,” 1985’s “Profiles” and 1987’s “White Of The Eye” soundtrack in both 3CD and 3LP vinyl packages for the first time in over 20 years.